This collection has been adapted for children and is available with Amethyst, Garnet, Turquoise or Peridot semi-precious stones. The pendant is supplied with an adjustable (14”) chain (which reduces to 12”) whilst the bracelet measures 6½” but can be reduced to 5½”. 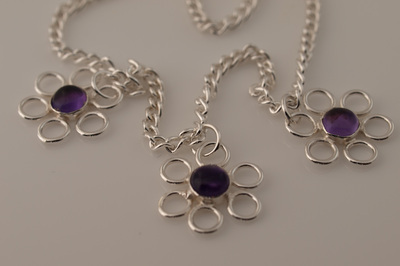 An ideal gift for bridesmaids and flower girls. Please note that only one pendant is supplied. 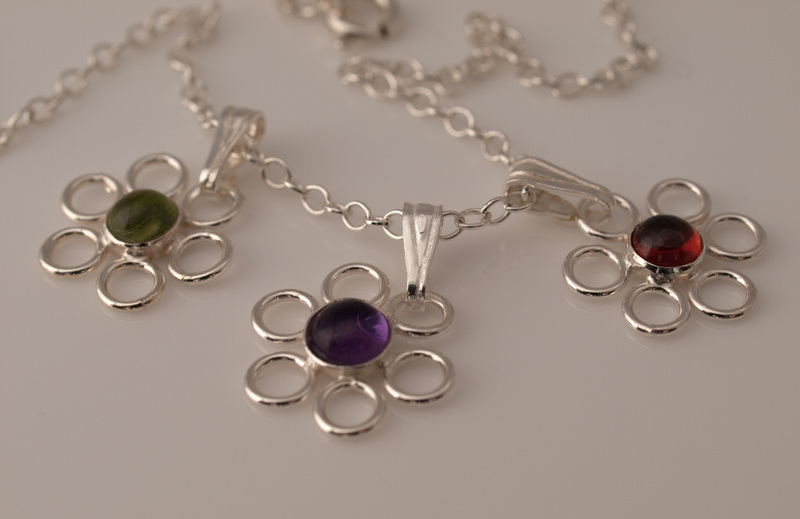 (L-R Peridot, Amethyst and Garnet). 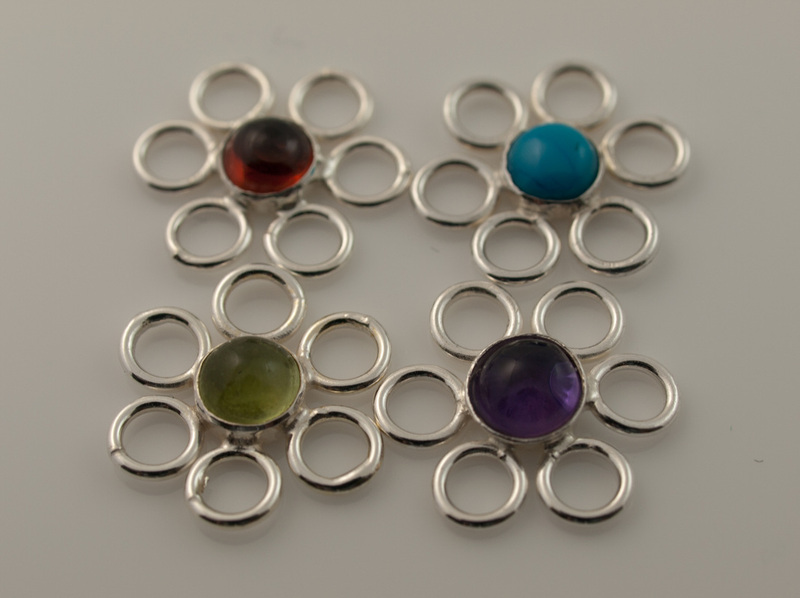 Stone colours image from top left clockwise; Garnet, Turquoise, Peridot and Amethyst.